This July my nine-year old son Alex, myself and another rider from Cayman will be joining a group of friends and several thousand other riders in the week-long nearly 500 mile bike ride across Iowa - RAGBRAI. ( www.ragbrai.com) Known as the oldest, largest and longest touring bike events in the world, RAGBRAI attracts thousands of riders from across the US and world and is now in its 43rd year. Encouraged by friends who have done the ride before many times, Alex and I decided to join them and are using the ride to raise funds for 3 local charities in the Cayman Islands. The charities we have chosen are the Cayman Islands Cancer Society which provides support for cancer victims in the Cayman Island community; Cayman Hospice Care, a provider of end of life hospice support in Cayman and One Dog At A Time, a local Cayman animal rescue group that works tirelessly to save stray dogs from euthanasia by finding them homes both locally in the Cayman Islands and also through a network of supporters in the US. Our hope is to raise as much money as possible for these three very worthy charities. We are asking donors to pledge support, either in the form of a general donation to be split between the charities, or if preferred, named specifically for one or two of the causes. I am hoping that not only will we raise money for the charities but also that Alex will learn a valuable lesson that even personal activities can be used to raise money to support others in need. Over the years he and his twin sister Sarah have asked birthday attendees to donate to a cause instead of bringing them gifts and have held bakes sales for local charities. This ride is one more way we are hoping to teach the kids to give back to those in need. Alex is delighted to have reached 2/3 of his goal today. Donations have passed the $2000 mark and we are so excited to keep pushing for his target and beyond!!! 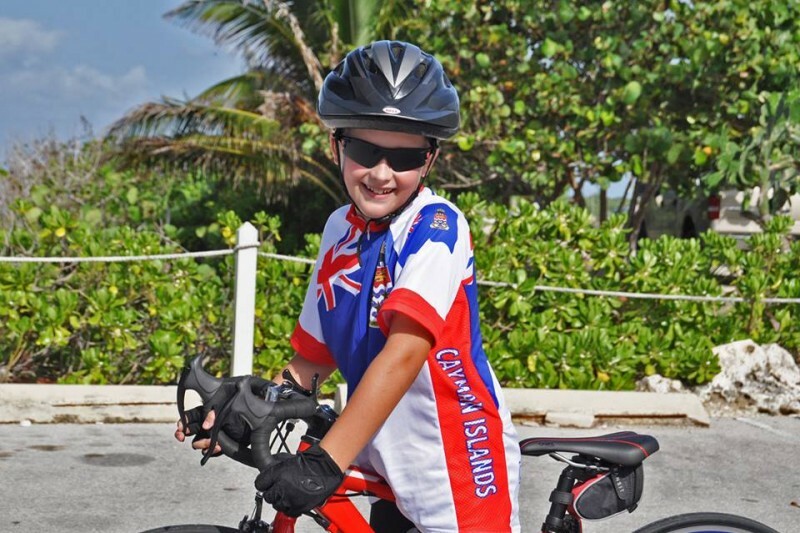 Look out for Alex on CITN Cayman27 Daybreak Show tomorrow morning as he joins Cayman Hospice Care to promote his upcoming ride and fundraising efforts. Huge thanks to friends and family both near and far for supporting Alex and his efforts. He has now passed a quarter of his stated goal and is keenly looking forward to hitting his target. Thanks to all who have helped him along!! Keep spreading the word!!! Hi! I'm a journalist for the Cayman Compass, and I'd love to spread the word about what you guys are doing for these Cayman charities. Would you be available for an interview -- over the phone would be fine -- sometime this week? If so, you can send me an email at kjukam at pinnaclemedialtd.com to coordinate a time that would work best for you. All the best Tim & Alex. Best of luck you two ... i'll be rooting for you both, but Alex most of all (get over it Tim)!